“Women don’t know anything about motorcycle, nor do women ride motorcycles”. That is a common bias against women participating in motorcycle world. 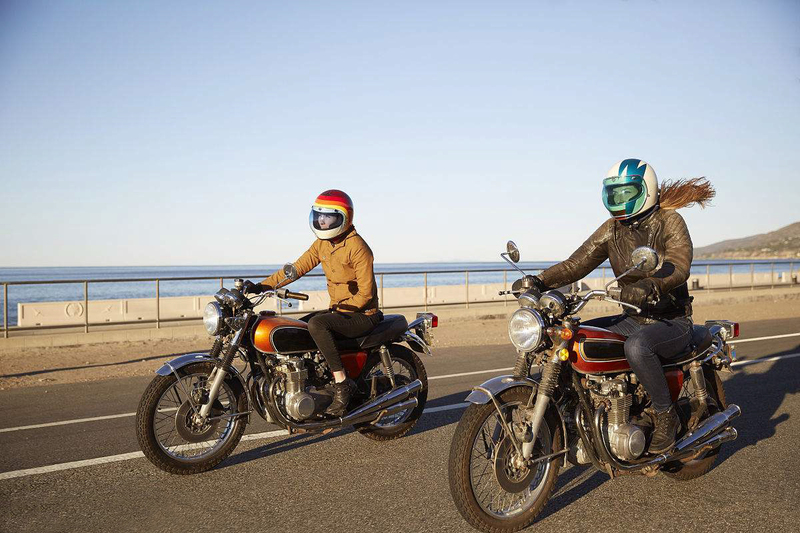 However, today whether it’s for freedom, adventure, spiritual experience, confidence, independence, or community, an increasing number of women are taking to motorcycles all over the world. Once they find the true pleasure on motorcycle, they fall in the hobby of riding, and even become interested and professionalized in motorcycle field. Women have tremendous spending power. They determine 80% of all purchasing decisions according to recent research. Women racers bring fans out to games. Women are three times as likely to refer friends and recommend good services and productsFamilies and women customers are often more comfortable with female salespeople. They like having a woman help the kids try on helmets, gloves, and riding gear. Manufacturers and dealers who develop products and services that reach out to women have shown greater success than those stuck in macho mode. Having female mechanics in your service department – if you hurry, before it becomes common-place, sets you apart, gets special attention and respect. Be a forward thinking business, not a dinosaur. Previous: How Do You Look at the Motorcycle Industry?